Discover Chartwell at The Pines™, a single-family residence with a full range of onsite health care, located on a gorgeous campus in the North Carolina woods near Lake Norman. Watch the fall leaves burst into color on acres of woodlands and wildflowers. Discover the tranquil world of Chartwell at The Pines. Built between 1988 and 1991 on Avinger Lane in Davidson, Chartwell features five bedrooms and bathrooms, a marble-floored foyer with twin staircases, music room, library, formal and informal dining rooms, a gourmet kitchen and more. 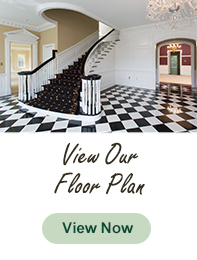 Chartwell’s distinctive interiors are modeled on the former owner’s family home in Brookings, South Dakota, with a great hall borrowed from the governor’s mansion in West Virginia. 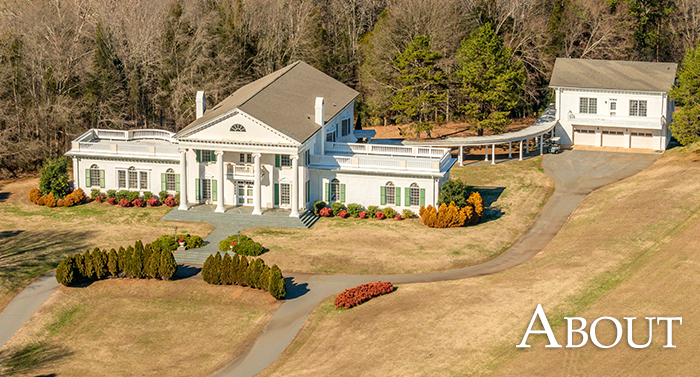 The neoclassical exterior and expansive grounds are modeled on the colonial-era Orton Plantation near Wilmington, North Carolina. Chartwell offers many opportunities for connections with the arts and the life of the mind at Davidson College. The Pines combines small-town ambience with the cultural offerings of a college town to keep the mind sharp and the spirits high. Chartwell is only a golf-cart ride away from exceptional dining opportunities, fitness activities at the wellness center, and the Schramm Health Center at The Pines. Residents discover beautiful surroundings and a busy schedule of activities and events to enrich the mind, body and soul. You’ll find everything you need at our vibrant community: fitness, friends, fine dining and, just in case, great care.